Following a dog liver disease diet is an important treatment tool for dogs with compromised liver function. A dietary change for a pet with canine liver disease (CLD) helps the liver regenerate while also maintaining good good nutrition, so it's crucial to know what to feed a dog with liver problems. Liver disease is common in dogs. It is especially prevalent in certain breeds such as West Highland Terriers and Doberman Pinschers. It is one of the top five causes of non-accidental canine deaths. As the cleaning system for the body, the liver removes toxins and waste. It also produces bile for the digestive process. When the liver is compromised, toxins and waste may build up in the body. This may affect many of the other bodily systems such as the brain and heart. The liver is remarkable in its ability to regenerate itself. With early detection and treatment, many CLD patients can recover completely. While it's natural to wonder what's the best food to feed a dog with liver problems, please keep in mind that all significant diet changes should be thoroughly discussed with your veterinarian. CLD is not a condition that should be treated without medical guidance. Your vet will be able to structure a dietary plan that will help your pet recover. Preclude and inhibit liver damage from the accumulation of substances such as copper. Since dogs suffering from liver disease require a change in diet, there are specific steps to take with a dog's daily eating regimen. Of course, you will need to discuss your dog's specific needs with your veterinarian. Generally, your veterinarian will recommend a dog elevated liver enzymes diet based on commercially prepared or home-cooked meals, or a combination. Prescription food for dogs with liver disease includes Hill's® Prescription Diet l®/d® and Royal Canin Veterinary Diet Canine Hepatic. Both of these low protein dog foods for liver disease come in wet and dry formulas. These diets are considered to be among the best options for dogs with liver diseases. If you decide on a prescription diet, follow the instructions on the package for your dog's weight. Break the meals up into about four or five smaller portions fed throughout the day rather than one big breakfast and dinner. This eases the stress on the body from processing a larger meal. If you are making your own food, feed at least 50% of the meals as meat, keeping carbs and grains under 50% or less. You can calculate the amount of food for your dog by multiplying one gram of protein times your dog's body weight. Dr. Jean Dodds recommends a liver cleansing diet, which consists of a 50/50 mix of white potatoes and sweet potatoes with a white fish such as cod and halibut. Mix 1/3 fish to 2/3 potato mixture. As the dog acclimates to the diet, you can add cooked chopped carrots, yellow squash and green beans, and scrambled eggs. She also recommends adding in a multivitamin daily. Not all homemade dog food for liver disease includes fish. The recipe featured in this video includes chicken paired with a combination of oatmeal, boiled egg, cottage cheese, and pumpkin. A detox, or liver cleansing, diet, is made at home using fresh ingredients. VetInfo recommends a mixture of 25% white fish and 75% vegetables. Potential vegetables to consider adding include potatoes and sweet potatoes, green beans, squash, and zucchini. The site also recommends reducing the use of phenobarbital during the detox diet phase, but this should only be done in consultation with your veterinarian. Your vet will most likely recommend a change in the protein consumption of your dog. Liver disease usually means that less protein is being processed, so your dog's protein intake will need to be monitored. The general recommendation is to ensure the protein consumed is high quality but to keep the amount to a moderate level. Some of the protein may come from non-meat sources such as cottage cheese. High-quality protein sources contain enough amino acids for your dog and are easily digested. Other recommendations may include offering plant-based proteins, such as soy, rather than meat-based proteins. In certain CLD complications, such as hepatic encephalopathy, the amount of protein may be reduced. Less protein will control the symptoms of that condition. With CLD, dogs are able to tolerate higher levels of fat in the diet. Your vet may recommend a diet that has up to 50 percent fat content. Carbohydrates are important to aid the digestion, add fiber and remove ammonia from the system. Cooked oatmeal, white rice, and pasta are types of carbohydrates that may be included. Your vet may prescribe a special commercial dog food such as those made by Hill's or Purina. These prescription foods are specially designed for dogs with liver disease. Some dogs with CLD benefit from a change in feeding routine. Instead of one or two regular meals a day, several small meals throughout the day may promote good digestion. Sometimes dogs with liver disease appear to lose their appetite. This could be because of the discomfort from the disease but also because the lower protein food may just be less palatable for them. 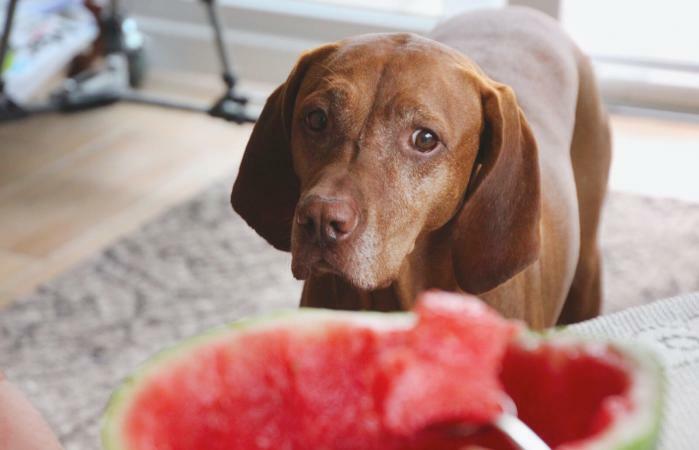 If you need help getting a dog with liver disease to eat, trying one of the homemade diets might make a difference as this may be more enticing than dry kibble. If your vet agrees you can try mixing some of the prescription diet wet food with the kibble. You can also talk to your veterinarian about adding some fresh items to your dogs' food to increase their interest, such as a low sodium vegetable-broth or fresh veggies and fish. If your dog has elevated liver enzymes, have a conversation with your vet about what that might mean in terms of your pet's health and diet. If your dog has liver disease, you should work with your vet to develop an appropriate canine liver disease diet for your pet. A good diet can help your dog feel better and heal faster.